A Pareto improvement occurs when an economic action leads to a net welfare gain, without anyone being made worse off. See also: Pareto efficiency. Moving from point D to A or B – leads to a Pareto improvement because we can produce both more services and goods. However, if we move from point A to point B, it is not a Pareto improvement. We gain more services, but lose goods. Surplus savings used to fund education and training for unemployed workers. This enables the unemployed to find work and reduce the inefficiency of an economy with high unemployment. No-one loses out by using the nation’s surplus savings, but the unemployed who are now employable gain a big increase in economic welfare. By reducing unemployment, the economy is also more efficient and the government will receive more tax from a higher rate of employment. 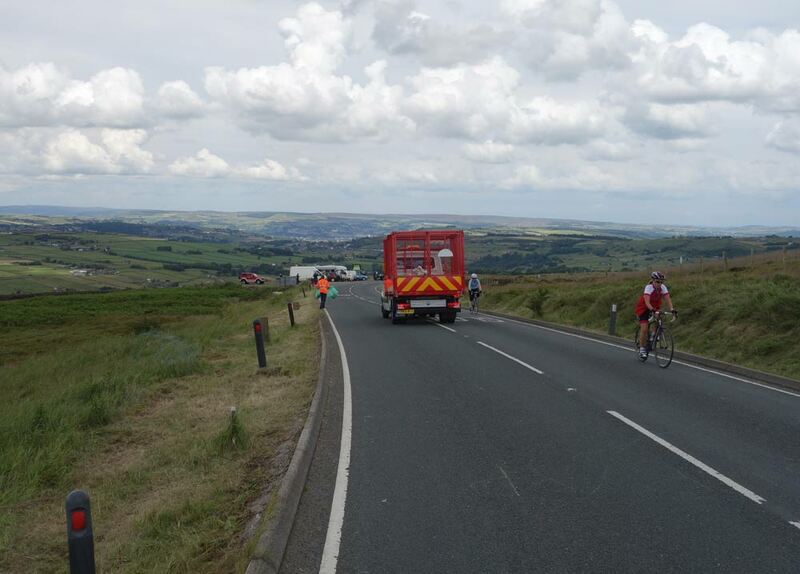 Making prisoners in jail do some socially useful task rather than sitting in a cell. If prisoners are sitting for 23 hours in a cell, there is a waste of resources. It costs the taxpayer money, and the prisoners may become disillusioned with life and more likely to remain a criminal after leaving jail. However, if prisoners were escorted to pick up litter from the street and countryside, there would be a Pareto improvement because society gains some benefit from prisoners picking up litter. Also, prisoners may gain more self-esteem from doing a socially useful task – rather than getting bored in prison. The government could press ahead with the project because there is a net welfare gain (£10-£3-£1 = £6 billion). But, some will lose out. The nation as a whole benefit, but a small percentage lose out. Suppose there are 100,000 people whose quality of life is adversely affected by the new runway. Since there is a net benefit of £7 billion, the government could offer compensation to those people adversely affected. For example, the government could spend £1bn on improved public transport, and also offer direct financial compensation of £1bn divided by 100,000. In this case, the net welfare gain is £10-5 = £5 billion. But in addition, there are no losers because those who lost out in old deal, now feel better off because of the financial compensation. Free trade and the abolition of tariff barriers, should lead to a net economic welfare gain. See: Trade creation. However, free trade will not be a Pareto improvement, at least in the short term. For example, domestic industries may lose out from the removal of tariffs. This is why there is often opposition to free trade. Although there is a net welfare gain, a small section could lose out quite a lot. In theory, we can compensate the losers with money. But, in practice, it can be difficult to attain. Who do we compensate? Everyone in the south-east may start to feel aggrieved by a new airport to claim compensation. Should we compensate a domestic industry which is internationally uncompetitive? Is money the issue? Some people may feel that money can’t compensate for the extra noise and pollution. What about the environment and air quality? It is hard to compensate wildlife or loss of beautiful scenery. Giving money doesn’t deal with the issue of the lost countryside or a deterioration in air quality. Should every decision be a Pareto improvement? Therefore, most people will agree that sometimes decisions will have to be taken which are not Pareto improvements. Sometimes, we may lose out (e.g. savers getting lower rates). But, at other times, savers will benefit from decisions which reduce inflation. To maximise economic welfare, sometimes you have to prioritise decisions which give maximum overall benefit. Also, it is not clear whether savers would be better off with high interest rates in the long-term. If you persist with high-interest rates during an economic downturn, you could cause a recession, which leads to lower tax receipts and the necessity for budget cuts which fall on pensions. You win some, you lose some. 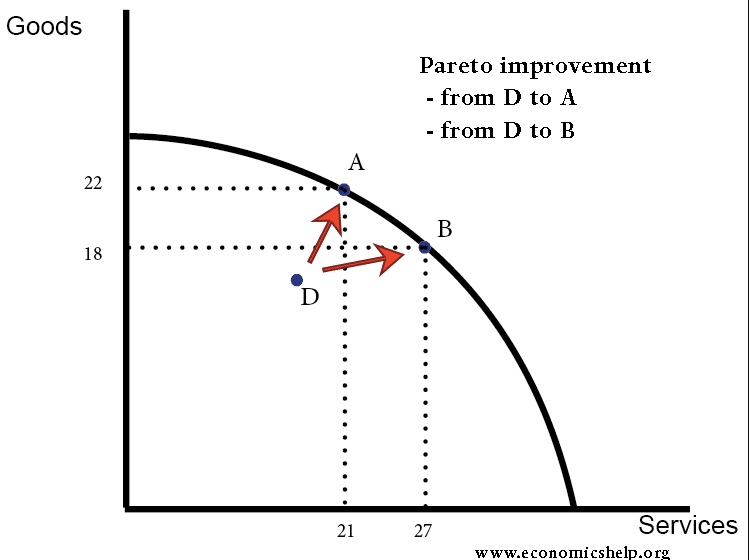 But, also the concept of Pareto improvement is important in cases, where a few people lose out a lot, and the net economic welfare gain could be used to offer some compensation to the losers. ← Can the UK afford to end austerity?